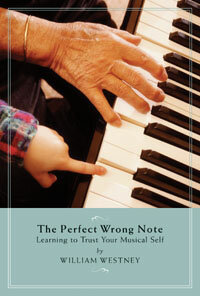 For many pianos students, playing 100% perfect notes, with no clunkers is goal in itself. They breathe a sigh of relief looking back on a video of a recital, where they managed to “get it right,” counting correct notes from beginning to end. One even managed to play note perfect while intermittently eyeing her family seated in the third row. But playing rises above myriads of notes permeating a composition. In the piano studio, which is some ways a learning lab, we try to be as objective as possible in our review of playing from week to week, keeping in mind that music is a form of communication from a heartfelt place–It’s a language of phrasing and nuance. In this frame of reference, note perfect playing without beautiful phrasing, nuance, dynamics, etc. can leave a listener, if not the player, out in the cold, disconnected from music’s warm embrace. In the creative process, most performing musicians strive to integrate the notes into a beautiful mosaic of well spun phrases, creating a space where inspiration reaches beyond the artist into the audience of listeners. Embracing a mantra of art for it’s own sake, with a sense of its feeding the soul and spirit with the nourishment it needs, I set out to videotape one of my students reading the Bach Invention 13 in A minor. Over a period of two weeks time we reviewed a few of her playings and together commented on them. In this way teaching was not dispensed from one individual to another, but became a shared learning experience. What it basically came down to, was “letting go” of the notes that she had learned well, and instead, thinking big shapes, with relaxed, swinging arm motions. We talked about the dualism of the Subject with its arpeggiated opener in legato 16ths followed by staccato notes in 8ths. To thread this MOTIF throughout the Invention, wherever it occurred, in one voice (Right Hand) or the other (Left Hand) was a priority. This is the hallmark counterpoint or dialog of voices that Bach cultivates. I prompted her to shape the arpeggios with a round, rolling motion of her arms, using supple wrists, and to play the staccato notes, press lift, but with definition. Like my students, I’m engaged in the same process, videotaping myself myriads of times, stepping back and assessing what I have to do to rise above the notes to reach a spiritual place in my music-making. And by example I recorded the same Bach two-part Invention in A minor many times, but left these two to compare. (played on my Haddorff) In one sample, I inadvertently left the mic down on the rug a few yards from the piano which created a timbre that is quite Baroque. The other had the mic up higher, front and center. I still need to refine my own performances, and watching these on camera gives me a clearer direction to take in the future. Hopefully, this process of examination by videotaping in the piano studio, will be of help to other teachers and students as they grow and learn together. It’s worth the effort. Thanks for sharing. No I have no familiarity with Rocket Piano, but I am curious to see what you reference.